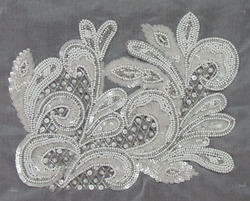 We offer to our clients Embroidery Services for Bridal Sarees. 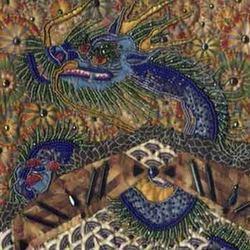 These are provided in beautiful designs and patterns and are crafted by experts. We also provide embroidery on bridal sarees in mirror work, zari work and also stone work and are also available in unique designs. 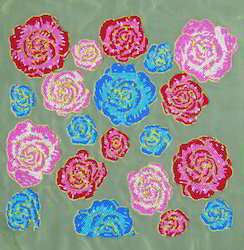 These embroideries give perfect traditional look. Ideal for transforming plain fabrics into designer garment, our range of Beaded Embroidery Services has gained immense popularity amongst our widespread client base. Our range is widely acclaimed for its intricate embroidery, colorful threads, vibrant color combinations, matchless designs and beaded embroidery stitches such as chain stitch, back stitch & couching. Crafted under the supervision of our designers, our range can be customized in accordance with the designs and other specifications provided by the clients. Bead embroidery work is a type of beadwork that uses a needle and thread to stitch beads to a surface of fabric, suede, or leather. 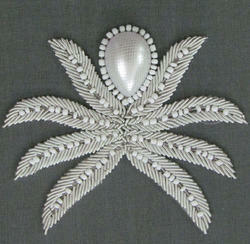 Bead embroidery is an embellishment that does not form an essential part of a textile's structure. 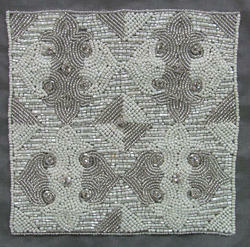 In this respect, bead embroidery differs from bead weaving, bead crochet, and bead knitting. Woven, knitted, and crocheted beads may be attached during fabric production, whereas embroidered beads are always added upon finished fabric. Seed Bead Embroidery work is the art or craft of attaching beads to one another by stringing them with a sewing needle or beading needle and thread or thin wire, or sewing them to cloth. Seed Beads come in a variety of materials, shapes and sizes. 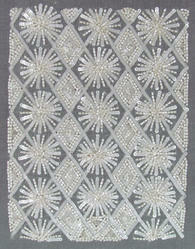 Seed Bead work techniques are broadly divided into loom and off-loom weaving, stringing, bead embroidery, bead crochet, and bead knitting. Seed Bead Work are used for religious purposes, as good luck talismans, for barter, and as curative agents. Bead Pattern Embroidery work is a type of bead work that uses a needle and thread to stitch beads to a surface of fabric, suede, or leather. a line of threaded beads may be laid upon a fabric and secured with couching stitches. Fabric Beaded Embroidery work is a type of bead work that uses a needle and thread to stitch beads to a surface of fabric, suede, or leather. 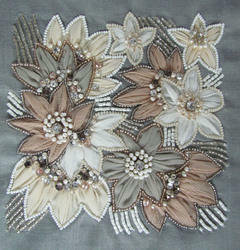 We are involved in providing a collection of Hand Beaded Embroidery Work. These products improve the beauty of homes and make them extremely attractive. We offer these products to our patrons at an affordable price. The offered products are fabricated using fabulous quality fabrics. 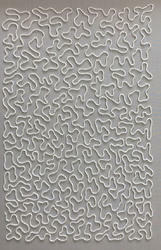 These products are designed as per international quality standards and are available in different sizes and colors. These products are made in accordance with the popular market trends and style. Heavy Bead Embroidery work is a type of bead work that uses a needle and thread to stitch beads to a surface of fabric, suede, or leather. Simple Beaded Embroidery work is a type of bead work that uses a needle and thread to stitch beads to a surface of fabric, suede, or leather. White Bead Embroidery work is a type of bead work that uses a needle and thread to stitch beads to a surface of fabric, suede, or leather.